When political leaders meet in Paris this week they will continue to mischaracterise the challenge posed by global environmental change. We need a mental revolution in all walks of life to address the ‘knowledge-action gap’. 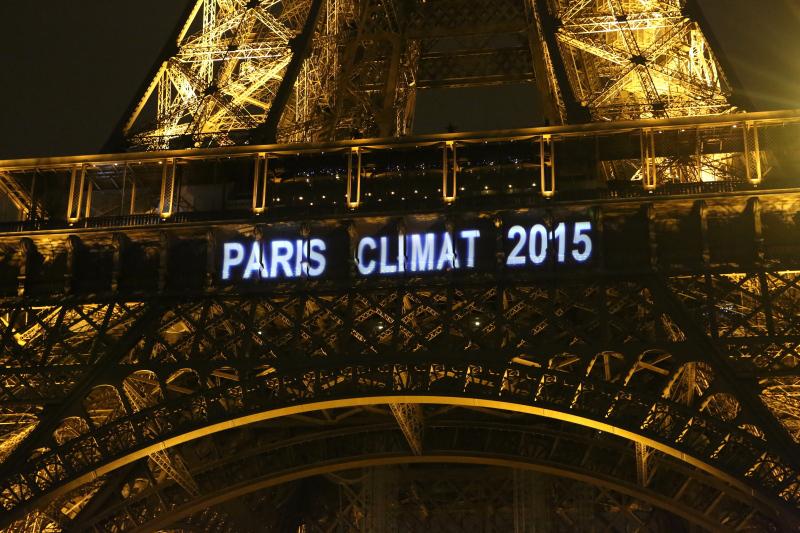 COP 21 takes place in Paris between 30 November and 11 December. Source: reneekarunungan.com. Human activity is changing our planet in ways that our ancestors would have thought impossible. Not only are we altering the planet’s climatic system; we’re also changing every other component of what geoscientists call ‘the Earth system’. This is momentous news. According to many geoscientists, we humans now possess powers usually attributed to gods. We are, quite literally, writing the pages of a new chapter of Earth history day-by-day. Yet when political leaders meet in France next week to discuss climate policy they will almost certainly pay only lip-service to the need for dramatic action. In the wider society there will no concerted pressure to hold them to their (empty) words. What explains this ‘knowledge-action gap’? Over the years four familiar causes have been identified. At first glance they still seem to be very important. One is the uncertainties in the science. Geoscientists study exceedingly complex open systems. The systems are too large for researchers to run real world experiments on them. The uncertainty this introduces has allowed many in politics, commerce and civil society to ask for more and better science before any decision is made to significantly alter human behaviour. Second, global environmental change seems rather unreal to many people, despite global warming being a familiar topic of our age. The idea that mundane activities (like me using a computer to type these words) are somehow changing the fabric of the Earth strikes many people as far-fetched. It may be the stuff of Hollywood movies, such as The Day After Tomorrow. But it’s surely, many people believe, science fiction not science fact. Third, many who do acknowledge the negative human impact on Earth often proclaim that we are responding. They point to things like green labels on foodstuffs, voluntary offset schemes for frequent flyers and the European Emissions Trading Scheme. Critics argue that such things produce a false sense of security; they encourage those who are less anxious about the state of the Earth to believe that honest efforts are being made by politicians and others to ‘balance out’ our more environmentally deleterious activities. Finally, leaders in government and business have had ‘structural’ reasons not to act on the ‘game changing’ implications of international geoscience. Governments work to short electoral cycles; by contrast, responding to global environmental change requires long-range commitments. Many chief executive officers lead firms whose profits depend directly on environmentally destructive behaviour – think of oil, automobile, mining and cement companies. In light of these four things, there appear to be some obvious ways to close the so-called ‘knowledge-action’ gap. One pertains to scientific communication. Geoscientists need to emphasise again-and-again that the certainties vastly outweigh the uncertainties. A very public example of this was last year’s synthesis report issued by the Intergovernmental Panel on Climate Change (IPCC). It made it absolutely clear that the global atmosphere is warming, with humans largely responsible. Yet organizations like the IPCC seem distant and bureaucratic. Clear, non-technical communication using well-informed intermediaries like journalists, documentary makers and others will help societies understand that humans’ god-like powers are all too real. This is something geoscientists are increasingly aware of. Powerful new scientific concepts like ‘the Anthropocene’, the ‘Great Acceleration’ and ‘planetary boundaries’ need to be very skilfully messaged from hereon. These and other actions are both important and necessary. However, there are less obvious causes of the knowledge-action gap. To my mind, these are too often ignored. Once we understand them we realise that the gap is much bigger than is commonly realised; we also realise that a much broader and more demanding suite of actions is required to close it. A prime cause is this: for too long humans’ impact on Earth has been framed as an ‘environmental issue’. This is very evident in the case of anthropogenic climate change. For years the talk has been about parts per million concentrations of greenhouse gases and degrees Celsius of average atmospheric temperature increase. This framing seems intuitively right. After all, climate is something humans have never, in the past, been able to influence. Climate has been wholly natural and it thus makes sense to treat it as separate from society. However, there is a serious downside to putting ‘the environment’, and the way humans interact with it, in a conceptual box. It blinds us to a key implication of contemporary geoscience: namely, that we have altered the physical world to such a degree that so-called ‘environmental issues’ are now economic, political and cultural issues in equal measure. This means that politicians, business leaders or citizens cannot mentally divide-up reality in the old ways. Things like trade, national security, competition law or educational policy are today dripping with environmental significance. Yet, at least in Western countries, these things continue to be framed as societal issues that may – or may not – have ‘environmental implications’. This allows us to trade-off the environment against ‘more pressing’ matters. The role of experts presents a related problem. While geoscientists must be praised for sounding the environmental alarm, they have shaped the public discourse about people and planet far too much. This discourse is dominated by words used by researchers and their collaborators. For instance, we often hear about ‘mitigation’, ‘adaptation’, ‘risk’, ‘precaution’ and ‘resilience’. These bloodless, technocratic terms fail to communicate the profundity of our present and future actions as a species. They rob us of the language we need to call each other to account for way we perceive and utilise the non-human world. But the absence of such a language has broader causes. Our politicians, business leaders, news media and third sector organisations have too often mischaracterised the ‘challenge’ that global environmental change presents. The encyclical issued by Pope Francis in June served as a powerful corrective. We are ducking the challenge, it argued, because it calls for a complete rethink of our entire way of life, especially in wealthy Western countries. In this light, those who highlight uncertainties in the science are deliberately avoiding the elephant in the room. Likewise, framing the challenge in terms of costs and benefits – as leading economists are wont to do – diminishes the ethical, spiritual and aesthetic significance of our relationship with the Earth. In short, we need to revolutionise our thinking about what global environmental change is and why it matters. This is why the Pope’s encyclical was addressed to all people, not just Catholics. We need geoscientists to take a back seat: yes, more research is necessary but it’s also insufficient. We need civic and religious leaders to speak-out in unison, combining passion and reason. We need our news editors and journalists to challenge the current discourse (something the British Guardian explicitly did earlier this year). We need environmental protest movements and green parties to more vigorously challenge the balkanisation of ‘green issues’. We need new civic institutions to intermediate between geoscience, on the one side, and government, business and citizens on the other. Finally, we need humanities scholars and social scientists to get out of their academic comfort zones. They must help citizens and those who represent them reframe environmental change. They need to be more visible outside their university homes, using their expertise to communicate the most important message of all: that forever altering our planet obliges us to rethink who we are and calls into question the values and goals that prevent us from being otherwise. The longer we ignore this message the more likely it is we’ll bequeath our children an Earth they won’t want to inherit. Expecting so many messengers to help society reframe environmental change is, I realise, rather idealistic. But there are two causes for optimism. First, a set of Anglo-American analysts known as the Hartwell Group have argued that you can reframe the big issues by talking about smaller, everyday ones. The Group realises that things like melting ice sheets seem remote from daily life. By contrast, issues like public health and interesting, well-paying jobs matter to people. Reframing these issues in ways that speak to the wider changes demanded by global environmental change is both possible and necessary. It suggests the need and opportunity for a bottom-up, multi-stranded approach to engendering these changes (on which see Hartwell’s paper on the website of the London School of Economics). Second, in the United States the Breakthrough Institute shows how new organisations can foster new thinking . Based in California, it unites academics, activists and policy-entrepreneurs (including some Hartwell members). Its pamphlets, books, debates and blogs provide an inspiring agenda designed to appeal to a wide audience. It reframes controversial issues like nuclear energy and makes the case that they must be part of a green future; it avoids the negativity of criticising ‘greenwash’; by combining idealism and pragmatism, its arguments can be readily used by political parties seeking to displace the mainstream ones; and it is aspirational, presenting environmental change as an opportunity to prosper in new ways founded on appealing values. To be sure, both the Group and the Institute have their critics (and I myself have a number of reservations about their political values). But they suggest that a mental revolution may be possible by seeding new ideas in the soil of current conventions. More radical proponents of change may have something to learn from the tactics the Group and Institute have employed to reframe the challenge of global climate change. *Noel Castree is a Professor of Geography at the University of Manchester, England, and the University of Wollongong, Australia. This blog is based on the 4th Archipelago Lecture organised by the Environmental Humanities Laboratory at the Royal Institute of Technology in Stockholm. A translated version was published in the Swedish daily newspaper The Dagens Nyheter on November 1. Thanks. Although Breakthrough are just very disturbing. It behooves real political ecologists to argue why they are wrong, as Kallis and others have done on this blog, and Latour is beginning to do. any examples of large scale social re-engineering in thinking and related modes of re-organizing of institutions/political-parties?